The Thunderbird Country Club is a very notable piece of history in Rancho Mirage, California. From being the birthplace of golf carts in 1954, to the cream of the crop in name-dropping and luxurious living, the Thunderbird is a well known establishment that has been popular to the likes of Frank Sinatra, Bob Hope, Ginger Rogers, and even Presidents Eisenhower and Ford. In its early days, the Thunderbird Country Club was THE place to be for celebrities and millionaires alike; with homes in the area ranging in price from $1 million all the way up to $7.5 million, this is definitely a place only for the elite. Eventually, the Thunderbird Country Club became worn down and tired, losing much of its rich and famous membership to newer, fancier establishments. In order to ensure that the club would be around to entertain people for years to come, the owners decided to remodel. Altevers and Associates Architects were assigned to create a new, improved version of the original that would keep its charming, majestic appeal, while catering to a more modern society and membership. Robert J. Altevers was responsible for drafting the design; he dug into the history of the club to preserve the original environment while adding all the modern amenities. Using casual California style ranch design and dramatic accents and design elements that were more modern, the architects turned a tired old country club into a sophisticated, elegant, modern country club that will entertain many members for years to come. 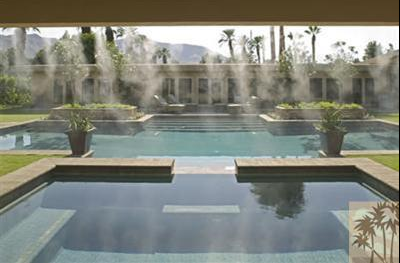 The Thunderbird Country Club now provides the unique atmosphere from years past in a new, modern environment that appeals to today’s Rancho Mirage residents and club members. According to Altevers, the club thrives on the people and the relationships that have been through the club in its many years. Thus, they didn’t want to change the look completely, but rather to simply update it and evoke the traditional elegance that has always been there in a more modern fashion. The Thunderbird Country Club is also home to the Annenberg Estate, which is a landmark that is very well known in the Coachella Valley. A 205 acre estate, it is mostly hidden by lush landscaping, a pink wall, and chain-link fencing. Those who visit this area are amazed by the history and grandeur of this establishment, and those in charge of the estate are cashing in on this curiosity. There will be a new Education Center built near the Estate, which will connect to the original property. Through this center, there will be public tours on a limited basis. All tours will be guided, so as to avoid problems. The estate has its own 18-hole golf course, a mid-century modern home, and a dozen man-made lakes. 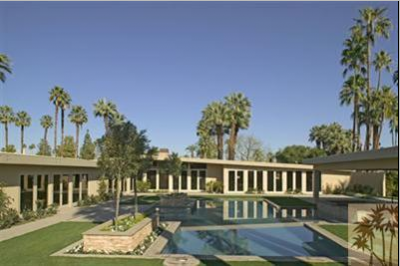 The home used to be the largest house in Riverside County, but has since been outdone. 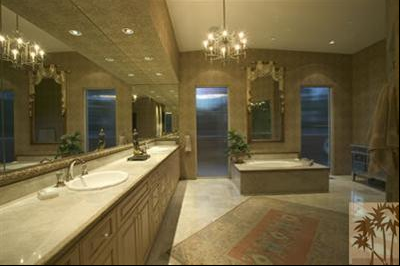 If you’re looking to purchase real estate in the Thunderbird Country Club area, contact us today. 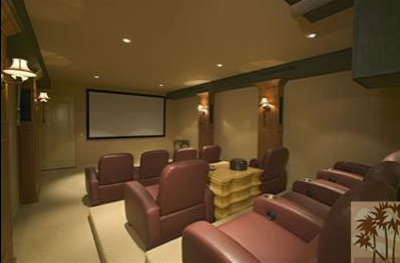 We can offer home tours, listings, and other information about real estate in this area. If you’ve dreamed of owning a home in this prestigious neighborhood, call us to set up an appointment and get started now. If you would like to see property at Thunderbird Country Club, please call us at the numbers below. Elaine Stewart is committed to helping you find the home of your dreams.